The father of Bristol Palin’s child has said that his ex-fiance fell pregnant as she was so angry about Sarah Palin’s pregnancy with his younger brother Trig. In his upcoming book Levi Johnston (20) says that when Bristol discovered her mother, former Alaska governor Sarah Palin, was pregnant she suggested to him in March 2008 "let's get pregnant". 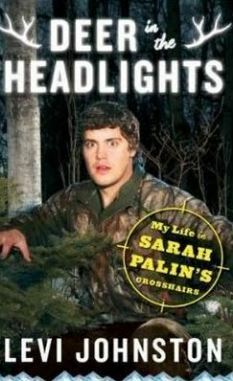 His first book: “Deer in the Headlights: My Life in Sarah Palin's Crosshairs”, comes out September 20. In Bristol's book, “Not Afraid of Life: My Journey So Far”, released in June, the former Dancing with the Stars competitor said she lost her virginity to Johnson when she got drunk on a camping trip. However he refutes this and said the couple were sexually active before this. Johnston says in his book he had “been too dumb” to use protection while the couple were dating. He says when Sarah Palin found out her 17-year-old daughter was pregnant, she thought it was a joke, while her husband Todd got angry raised her voice and told Johnston to quit school and get a job. He says Palin had the idea to adopt Bristol’s baby to “avoid a scandal” but maintains him and Bristol wouldn’t allow it. The couple who were engaged for a period ended their romance soon after their son Tripp was born in December 2008.